Smoking is easier than you think and adds a unique flavour to seafood and meat. A simple salad with a dash of Pronto Mama Salad Splash would go well with this. Rub the Cajun spice all over the salmon. In the mean time, place the lemon halves on the griddle and cook until golden and grilled. 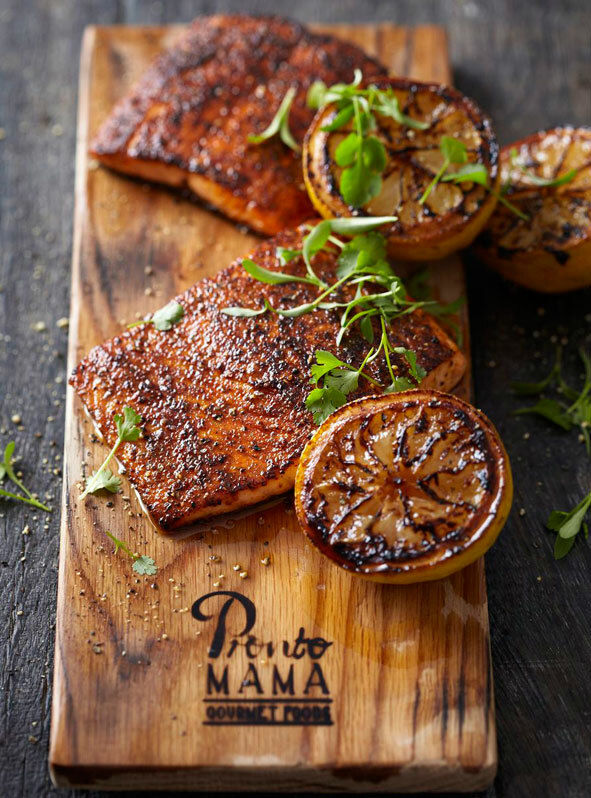 Soak your Pronto Mama smoking board for 20 minutes. Place the salmon on the board and cook according to the board instructions. Serve the salmon pieces with the grilled lemons.